Different kinds of skin have different kinds of problems and for those of you who have oily skin, you will be on the way of developing problems such as dullness, acne, dark patches, zits and greasy skin, so it is better for you to nourish your skin and get rid of your oily skin problems, you can try this homemade face mask for greasy skin. You have to know that fruits are the perfect way in order to treat your body and skin. Meanwhile, selection the perfect kind of foods is very crucial. They provide clear skin naturally and maximize the glow of your skin. This is the perfect remedy that you can do in order to treat your skin every day. The perfect advantages of juicing for healthy skin are popular and these fruit packs will help you to provide all the nutrients which are required for your skin. It will also help you to reduce oily skin. 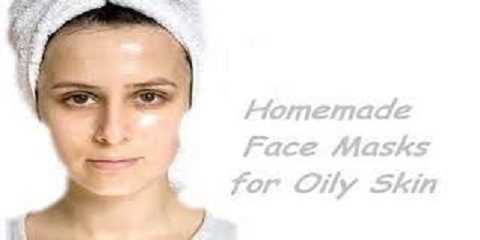 This oily skin homemade face mask will eliminate excess oil from your skin thoroughly. These are a couple of great recipes for you. Banana is the ultimate natural solution for those of you who want to treat oily skin naturally. This fruit has nourishing nutrients which make the perfect homemade face mask for oily skin. You have to choose ripe banana for these recipes. You will find that your skin is glowing and fresh once you are using these packs. It will help you get acne free skin is you use these banana packs twice a week. You also have to consider adding a couple of drops of orange juice to the mixtures. First of all you have to take one tablespoon of milk and add a mashed banana in a bowl. After that you can add two tablespoons of oats and create a thick paste. You can use it to your neck and face. Your skin should be scrubbed in circular motions by using the tips of your fingers for five minutes. You can rinse it off by using normal water. You will have a refreshing look and oil free of face and it will also help you eliminate blackhead on your nose. To make this oily skin home face mask, you have to take banana and mash it up. You have to put this mixture in a bowl and one tablespoon of honey should be added. You have to mix it well and one tablespoon of lime juice should be added. Mix it completely and you can apply it to your neck and face.